LUXE Yoga & Fly Fishing is a 3-night women’s retreat on the waters of Big Sky, Montana. Experience “reel” (we can’t help ourselves) relaxation and soul-soothing rejuvenation that feed your soul long after you return home. 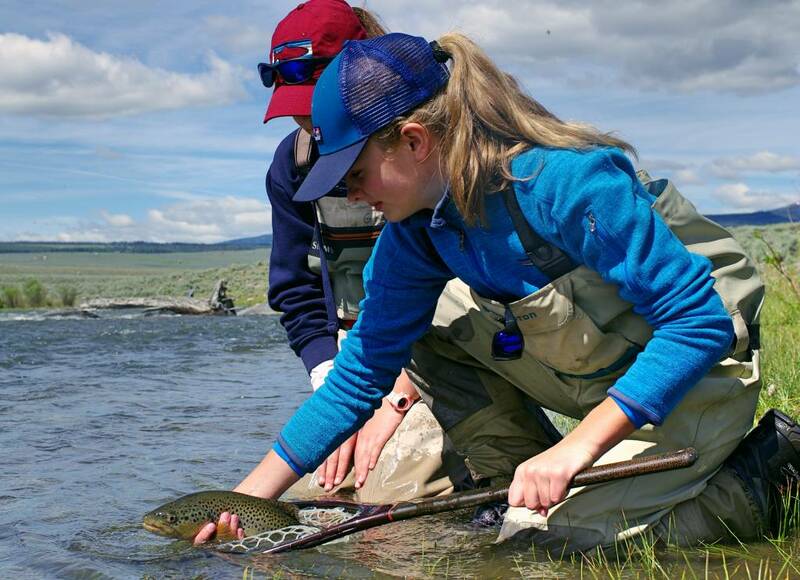 In addition to Vinyasa and restorative yoga, you’ll wade into the world of catch-and-release angling with laid-back, on-the-water instruction from the visionaries behind Montana Women’s Fly Fishing School. We embrace the challenge and fun of the sport, while ensuring plenty of time to put your feet up and enjoy the sounds and sights of our home away from home–the stunning Gallatin River. From fishing fundamentals to advanced strategy, casting to setting, knot tying to fly selection, you’ll establish (or build upon) your knowledge alongside other inspiring women. After splendid views, three square meals of gourmet “seconds, please” delights (including trout! ), and all the down dogs and fish poses you can handle, settle in for the evening with a dip in the hot tub, a glass of wine, great conversation, and a breathtaking canopy of stars overhead. Thanks to Corrine Garcia and all the great folks at Big Sky Journal for the love! Here's to another great year of the Montana Women's Fly Fishing School!